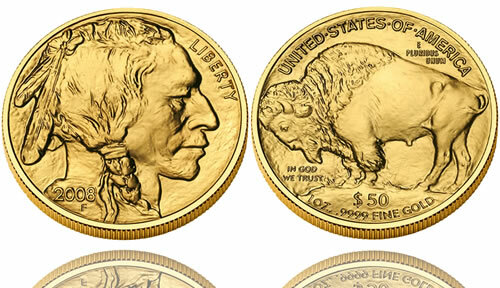 The American Buffalo Gold Bullion Coin was introduced by the US Mint in 2006. It was created in response to calls for a 24-karat American made bullion coin, of which there were none at the time. Investors and collectors interested in obtaining a .9999 fine gold bullion coin were forced to turn to other world mint’s to fulfill that desire. Thus, the United States Congress authorized the new Buffalo Gold Bullion Coin as part of the much larger Presidential $1 Coin Act of 2005 (Public Law 109-145) . The new strikes made their first appearance in 2006 and have been issued annually since then. Some years, however, did see the US Mint experiencing issues as it related to the Buffalo coin releases. An example of this is 2009 when demand for other bullion products (such as the American Gold Eagle) led the Mint to postponing the release of the Buffalos until mid-October. Buyers then quickly purchased the entire mintage of 200,000 2009-dated strikes in less than two months. Designs featured on the American Buffalo Gold Bullion Coins were taken from a previous US Mint strike that many consider to be one of the most beautiful ever produced by the US government – the circulating 1913-1938 "Buffalo Nickel" also known by some as the "Indian Head Nickel." The coin’s designs were originally completed by James Earle Fraser. Shown on the obverse of the Gold Buffalo is a portrait of a Native American Chief. Surrounding the portrait are the inscriptions of LIBERTY, the year of minting and a F for the artist Fraser. The reverse shows the image of a bison (also known as a buffalo). Surrounding the creature are the inscriptions of UNITED STATES OF AMERICA, E PLURIBUS UNUM, IN GOD WE TRUST, $50 and 1 OZ. .9999 FINE GOLD.